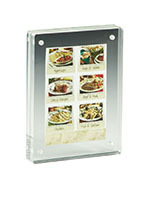 This Magnetic Block Frame Has a Modern Design! 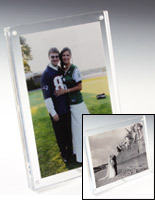 Additional Sizes and Styles of Photo Holders are Available! Most In Stock Items Including this Magnetic Block Frame Ship Fast! 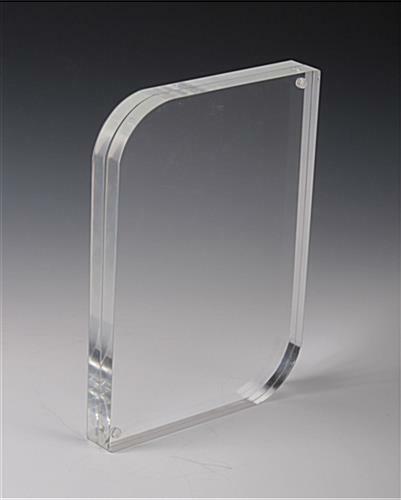 Clear acrylic construction for affordability. Sleek design for use in homes or businesses. 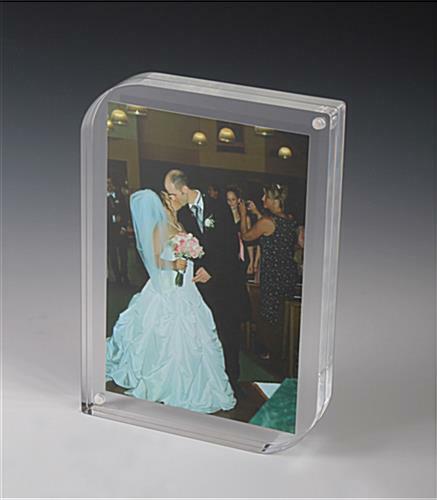 (2) 3/8" Thick acrylic panels have magnets to secure 4" x 6" images inside. 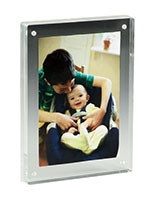 Each magnetic block frame is made for vertical or horizontal images. These photo holders can display (1) or (2) prints. 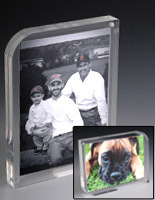 This magnetic block frame is made of clear acrylic for a sleek and modern design. These photo holders give the pictures a floating in air look. This magnetic block frame is simple to use, there are no retaining or push clips to fight with, just separate the clear acrylic panels, insert the photo and place the panels on top of each other for the magnets to stick together. In addition, there is no border that will eventually go out of style. Each magnetic block frame for 4" x 6" prints sits upright on their own. Some of the other styles are held up using steel pegs, but if the removable peg is lost those holders can't sit on their own. 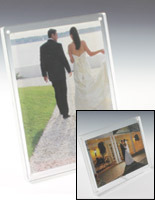 Each acrylic photo display is a magnetic block frame that works in any home or business. 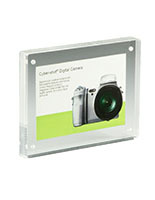 The sleek look of these picture holders will look great on any desk, mantel, or retail counter. This magnetic block frame is inexpensive. 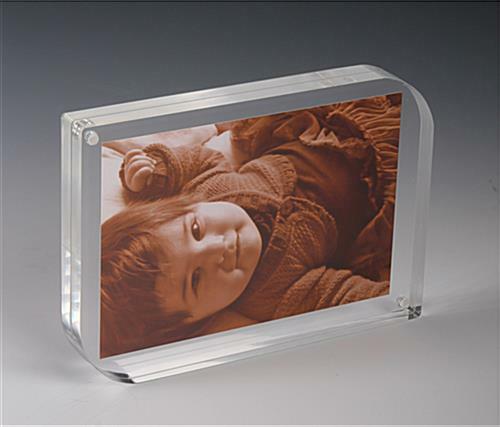 The low cost of these clear acrylic picture holders make them the perfect gift! This magnetic block frame consists of (2) 3/8" acrylic panels with magnets in two of the corners to secure the panels together. 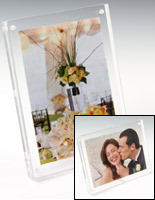 The transparent look of this holder will not distract the attention away from the photo on display. This magnetic block frame is for tabletop use. There is no way to mount these portrait holders on the wall. 5.0" x 7.0" x 0.75"